Images are always loved by the customers. They speak louder than words and have the potential to describe several pages of bland text into a self explanatory scene with just one glance. However more importantly, they can dramatically arouse the viewer to a take action, because when it comes to pictures, customers just can get enough! Over past few years the fabric of internet has formed into image centric platform compared to the text-centric approach of the past. 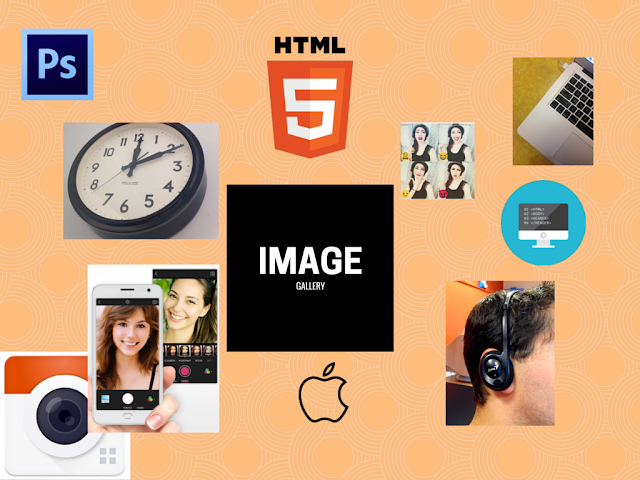 Images are being widely used in terms of marketing and the internet is full of them. Facebook itself has a storage of more than 220 billion images, which means almost 220 images per each active monthly user. Recent studies have shown tangible evidence that adding images to just any perspective of marketing can become a formidable force of conversions for any product, any service. Without images you are likely to fail in selling your product online. This is also the reason why viewers now expect more creative and high quality images in their daily appetite of internet browsing. While new ecommerce stores emerge in the market, the need for better and more comprehensive photography has risen to captivate and engage the customers with products. To keep up with the task, merchants must please their clients with a healthy diet of images through photo galleries. Here are some guidelines you can use to acquire handsome amount of conversions for your ecommerce store by adding images the right way. The prime reason why websites underperform even in the presence of photo galleries is the lack of options. A photo of a product carelessly posted on your website only explains it from your perspective; the customer however, is interested in how the product looks under his. A Shirt or a shoe for instance must appear photographed in all its color combinations available. To give it a tactual feel, you can even feature an attractive figure wearing or holding it. This produces a sensation of in-store shopping that prompts the customer as though they are looking in the try mirror. Online shopping nowadays is the proper definition of convenience. However, the one aspect that deters its position as the replacement of conventional stores is the experience of physically handling the product, only possible in brick and mortar stores. To make sure your customers are satisfied with the product without actually grabbing it, use High Quality photos and provide multiple angles so customers can view it from various positions. Once customers get intrigued by this feature they are most likely to visit your store more often. You can use High Definition cameras for photography, an investment that will eventually pay off. Your products can never achieve the visibility they deserve even if you write a song about them. In today’s online shopping, visibility depends on images both literally and figuratively. You ought to be the best seller if you use right image to feature on the categories and product pages. The featured image should never be taken lightly. It’s basically the ambassador image of your entire photo gallery and a well dressed ambassador always sells. You can use cleanest angle with most popular color of the product for the image, and put in against a decent contrast so the product is shown to its full spectrum. There is absolutely no point in putting out pictures of your product when they fail to be seen through the naked eye! This is another notorious mistake many merchants make while marketing their products online. You image is only purposeful when it’s large enough to be convincing for the customer or else it’s a waste of space. By adding zooming tools to your store, you can display your high definition photos to the size of a theater screen. Remember, the bigger the better because size matters. To obtain these features you can always use a tool like photo gallery extension for Magento that covers all these functions, but also throws in some extra to give a full package to the customer. Another fatal mistake that most marketers make is choosing the inappropriate position to display the image. Your website layout has white spacing (also known as Negative Spacing) which helps differentiate the content from the sides and maintains order with the various elements of the website such as headers, tabs, blocks and search boxes etc. Similarly, your featured image and gallery images should be rightly acquainted with white spacing so they don’t mess up the layout or tighten the content on the page. Bad placement of photo galleries can cause confusion and result in page abandonment by the customer. If your images are elegantly sought out on the page they will make it appealing and invite more customers. Thumbnail images carry a lot of weight when it comes to conversions. All it takes is a glance of the thumbnail and the customer agrees to spend his cash. Many marketers miss this detail where as clever markets exploit this gap and use their best to produce an image that not only entraps the client, but keeps them busy enough to find other product to purchase. If you optimize your thumbnail images properly, they have the ability to score triple digit improvements in conversion rates. You can start by adding a HQ image of the product, using the right colors and combine it with a strong call to action that synergizes with image. Various Ajax based extensions are also available that can enhance the appearance of the thumbnail such as Zoom, quick view and hover functions. Although images are easy to get and easily uploaded, they bring out some serious gains regarding marketing objectives in online stores. It is also true that adding photo galleries doesn’t really require a road map; instead you can use them at your will where you need to increase your conversions and revenues. However, in order to make sure your images are used to their fullest potential, you must abide this handful of rules which will help your content thrust up to top and get you the best conversions around the block. Simon walker is among the biggest eCommerce pioneers of FMEextensions that develops the top class Magento extensions and customized eCommerce stores. He has worked in the eCommerce industry for over 7 years as a Consultant and Developer in multinational projects. You can also reach him at Twitter and Google+.